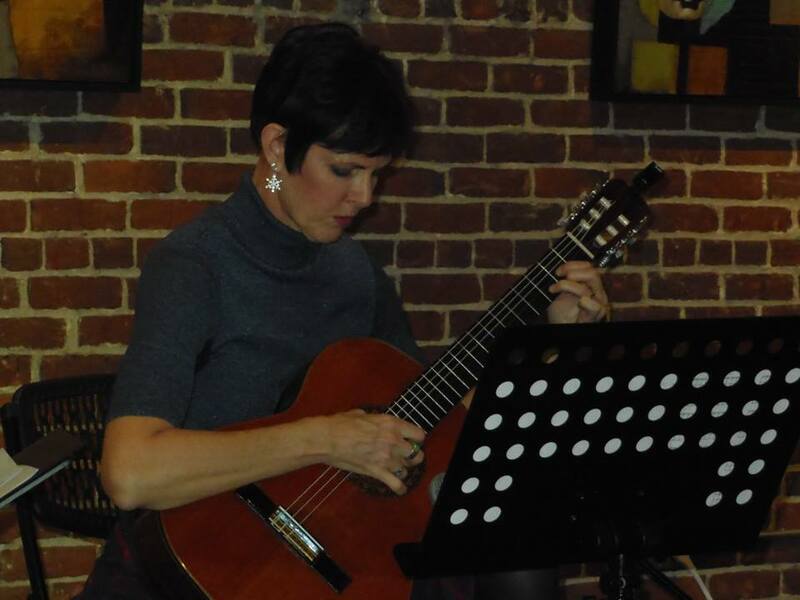 Roxanne Thomas has wanted to learn to play guitar since she was a teenager. “I saved babysitting money and bought a guitar thinking it would be fun and easy to learn how to play. I was a big fan of The Eagles, and thought it would be great to play their songs at parties.” While she tried learning several times over the years, she confesses she was “never consistent.” Meanwhile, all three of her children learned to play on her guitar, and her son went on to study guitar and guitar theory at the University of Oregon. Roxanne performed for the first time at our Fall Studio Gathering. “The Gathering was fun but it did make me a little anxious. Having Maria play with me gave me the confidence to get up in front of an audience. My hand was shaking before I started, but I just forgot about being nervous during the piece. The whole event was so comfortable and supportive, it was fun to take part in.” According to Maria, “Roxanne is an incredibly brave, hard working guitarist: I asked her to play a difficult piece, it was her first performance ever, and she did a solo in spite of the nerves, in a beautiful way. It is truly an honor for me to teach Roxanne.” Roxanne delighted the Resound NW community again this winter with her performance at our annual Holiday Sing-Along Spectacular.